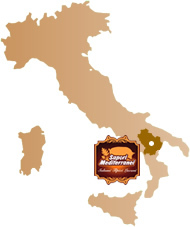 Pure and genuine as asked by the tradition, soppressata is made selecting meats from legs and loin of swine, coarse-grained cut and flavoured with salt and black pepper in grains. In the lean part, characterised by a brilliant pink colour, one can see small bites of fat, with their white/pink colour, typical of this kind of sausage. 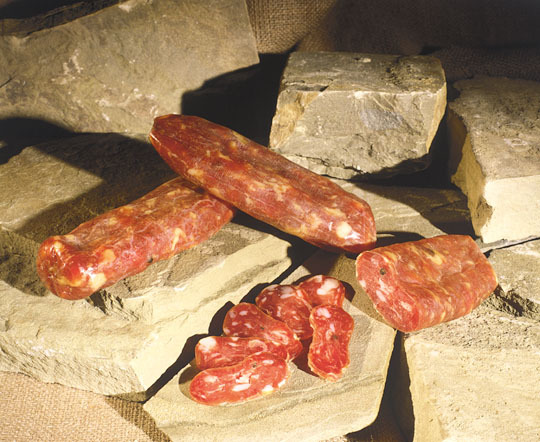 The smell is characterised by a delicate fragrance of seasoned meat; at the taste, soppressata results soft but compact, sweet and tasty at the same time. - the product obtained is then seasoned for a period of almost 40 days.